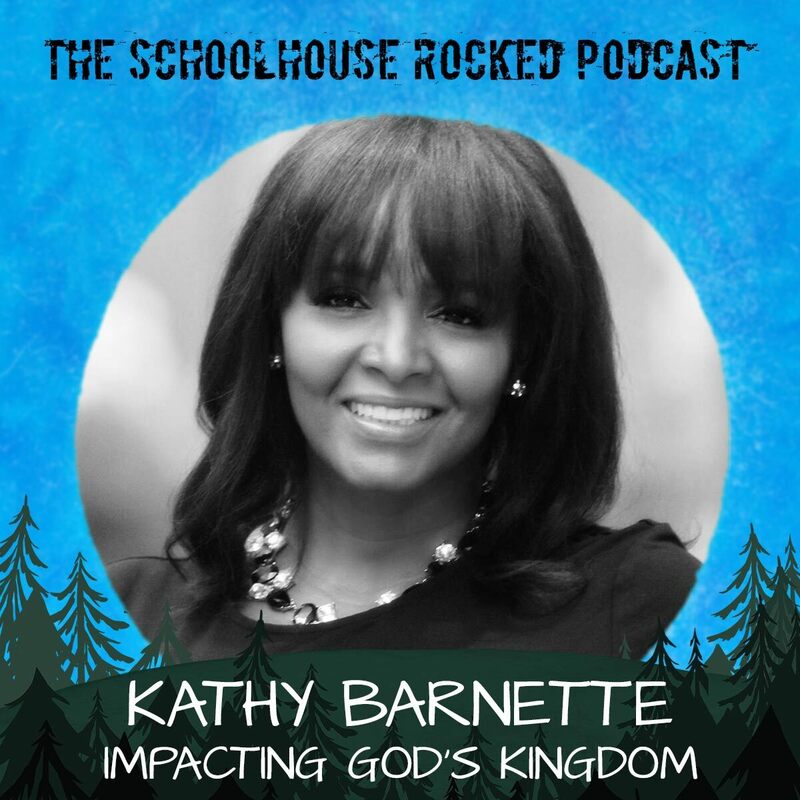 The Schoolhouse Rocked Podcast Yvette Hampton, producer and host of Schoolhouse Rocked: The Homeschool Revolution, brings you encouragement and resources from home education experts and REAL families just like yours, to help you train your children well. 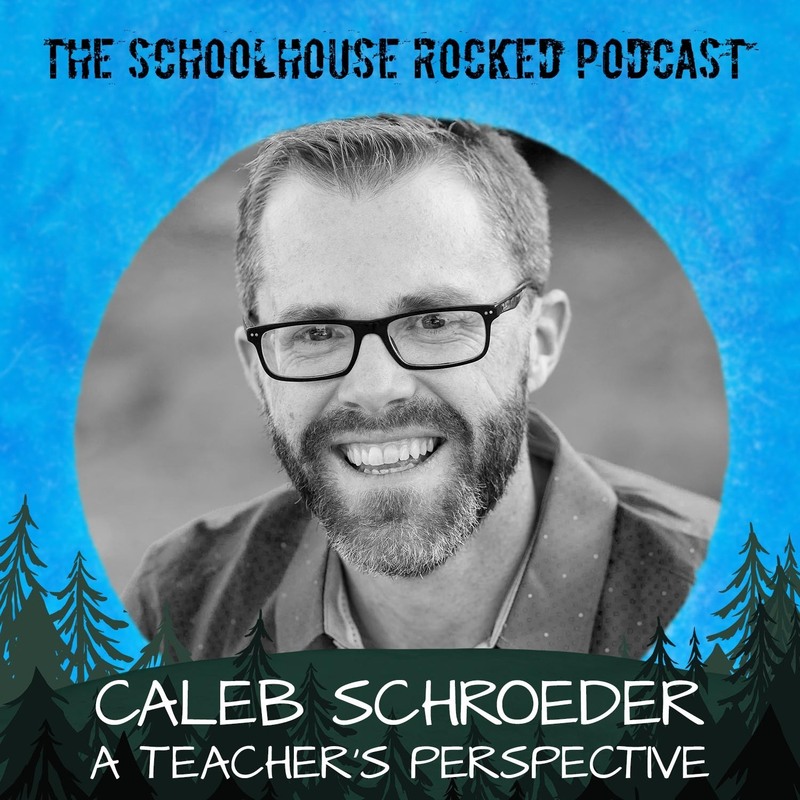 Caleb Schroeder is a public school teacher and adjunct college professor, and brings his wisdom and insight from his experiences in the public school system to this important interview for the Schoolhouse Rocked Podcast. Click here for the transcript of this episode, which is provided by our new sponsor, MakeCrate. MakeCrate provides your homeschooler with the STEM skills they need for the future! Fun, hands-on electronics kits paired with an online learning platform teach your middle or high schooler engineering and coding fundamentals right at home! No technical expertise is required. Order your MakeCrate today at MakeCrate.Club/SR. Join us on the Schoolhouse Rocked Backstage Pass membership site for the full unedited video of this interview. Save 10% on any paid Backstage Pass Membership by using the coupon code "Podcast10". 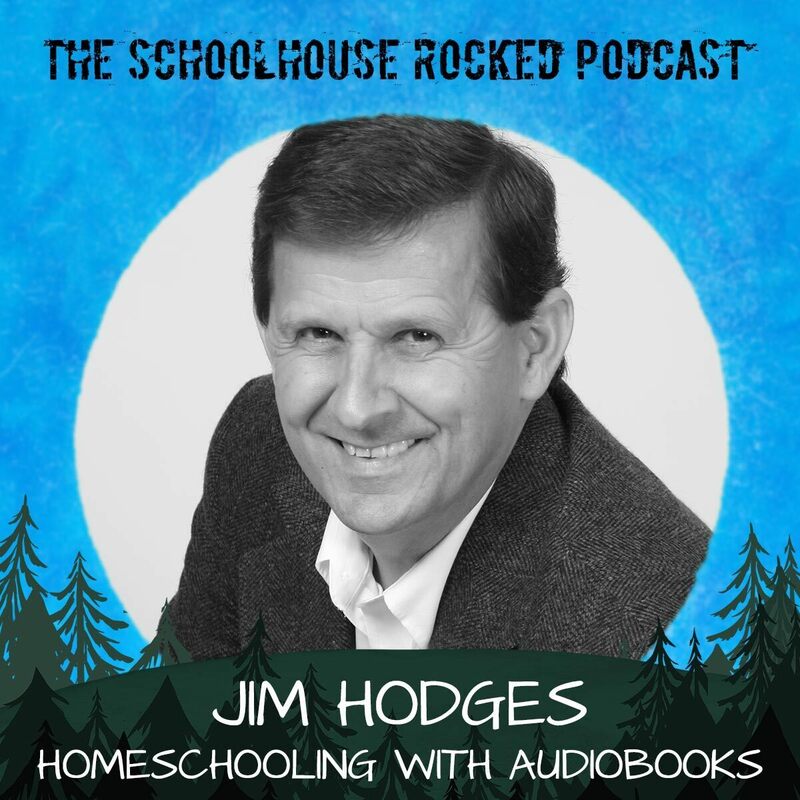 In this episode of the Schoolhouse Rocked Podcast Yvette Hampton talks with Caleb Schroeder, a homeschool dad who was homeschooled himself. He and his wife Leah, who was also homeschooled, now homeschool their six children in Southern California. While their homeschool educations were relatively unstructured, they both went on to get college degrees (Caleb just finished his second master’s degree). In this interview Caleb talks about the philosophy and aims public schools from his perspective as a long-time teacher in the system. Want more from Caleb? 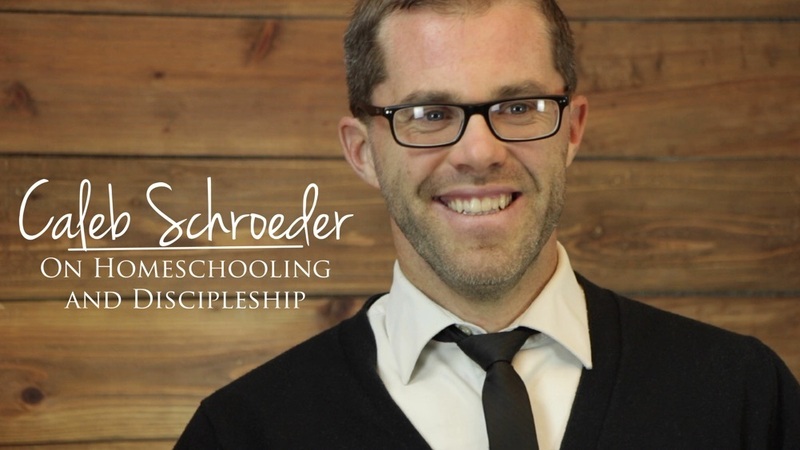 Watch his interview for Schoolhouse Rocked: The Homeschool Revolution on the Schoolhouse Rocked Backstage Pass membership website. This video is FREE and there is even a coupon code on the page for a FREE 3-Month membership! This episode of the Schoolhouse Rocked Podcast is brought to you by Typesy, a fun and effective typing program that helps users practice typing by using games, exercises, and activities. They even have a Homeschool version for families which includes an admin interface where parents can manage their students' accounts and view their progress. Typesy is the same comprehensive keyboarding curriculum used by top schools nationwide. It's super-easy for homeschool families to set up and the basic homeschool account includes 5 years of access for up to four students (with options to add more), It's very affordable and always AD FREE! Visit SchoolhouseRocked.com/type to find out how you can take advantage of their money back guarantee! Yvette Hampton and Kathy Barnette speak about how Kathy went from a pig farm to the Big Apple and how the Lord has called her to her most important job yet... homeschooling her own children. Click here for the transcript of this episode, which is provided by MakeCrate. MakeCrate provides your homeschooler with the STEM skills they need for the future! Fun, hands-on electronics kits paired with an online learning platform teach your middle or high schooler engineering and coding fundamentals right at home! No technical expertise is required. Order your MakeCrate today at MakeCrate.Club/SR. Seen regularly on Fox & Friends, Kathy Barnette is a conservative commentator, and proud mother and wife. Kathy Barnette is a veteran, a former adjunct Professor of Corporate Finance, a conference speaker, and a political commentator. In addition to Fox & Friends, Kathy can also be seen on Neil Cavuto, Martha MacCallum, Fox & Friends First and several local news stations around the Philadelphia area. She served her country proudly for ten years in the Armed Forces Reserves, where she was accepted into officer candidacy school. Her corporate career includes working with two major financial institutions and in corporate America. She also sat on the board of a pregnancy crisis center for five years. Kathy is not only a public advocate, but she advocates for her own family. Perhaps her most cherished opportunity to date, besides being a wife, is the ability to homeschool her two children. You can learn more about Kathy and watch some of her media appearances by going to KathyBarnette.com. This episode of the Schoolhouse Rocked Podcast is brought to you by Teaching Textbooks. Try the first 15 lessons of any grade level for free at TeachingTextbooks.com. Join Yvette Hampton as she speaks with audiobook recording artist, Jim Hodges. They discuss homeschooling, how Jim got started recording audiobooks, why he loves G.A. Henty novels, and how audiobooks play an important role in homeschooling. The video interview continues for Schoolhouse Rocked Backstage Pass members where Jim and Yvette discuss how audiobooks are helpful to students with special needs and tips for parents on reading aloud. The interview ends with Jim reading aloud the first chapter of Stuart Little, to give you a taste of his reading talent! So, grab your kids for the last 10 minutes - you won’t want to miss it! Not a Backstage Pass member yet? Use the coupon code "PODCAST10" to save 10% on any paid membership. Memberships start at just $4.99 per month, but don't wait! These introductory prices won't last long, so use coupon code "PODCAST10" to save 10% when you sign up today. Jim Hodges is a committed Christian, husband to Monica for 39 years, father of three grown home-schooled children, and 20-year Navy retiree. Monica once asked him what is dream job would be? He answered "I'd record books." And so began Jim Hodges Audio Books, producing unabridged recordings of the G. A. Henty historically accurate adventure novels, children’s books, Overtly Christian titles, Classic Literature, and reissues of Old Time Radio Shows. Loving history, he happily lives in historic Annapolis, MD. This episode of the Schoolhouse Rocked Podcast is brought to you by Classical Conversations. Classical Conversations leads the home-centered education movement by teaching parents and students the classical tools of learning so that they can discover God’s created order and beauty. Share the love of learning through a Christian worldview and fellowship with other families. Our families thrive using three keys to a great education: Classical, Christian, and Community. Yvette Hampton and Ruth Adams discuss what it was like for Ruth to be homeschooled in the 80s and 90s and talk about the blessings she received through her homeschool experience. They also discuss what the Lord is teaching her now as a homeschooling mom, lessons she’s learned in 40 years of homeschool involvement, and how to keep discipleship the main thing (hint...Seek First the Kingdom of God, Matthew 3:33)! 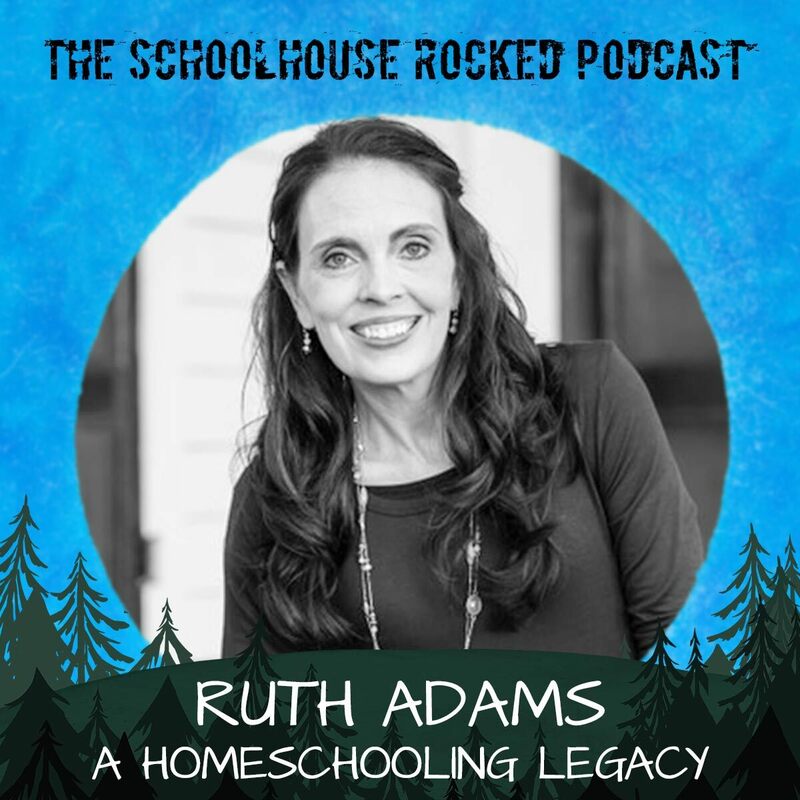 Ruth Adams is the author of the book Legacy Reflections of a Homeschooled, Homeschooling Mama and is the host of the Legacy Homeschool Reflections Podcast. She was home educated herself in the 1980’s and the 1990’s and is now homeschooling her own seven children, seeking to pass on the legacy of faith her parents imparted to her. She has an almost forty-year perspective on the homeschooling movement and encourages parents to reach the hearts of their children with the gospel of Jesus Christ. She offers warnings against falling into ditches and exhorts parents to take a Biblically balanced approach in raising their children for the glory of God. Ruth understands the challenges and joys of being a homeschooling mama and loves mentoring other mothers who desire to disciple the hearts of their children for Christ. Andre Furmanov - Homeschooling in Russia! 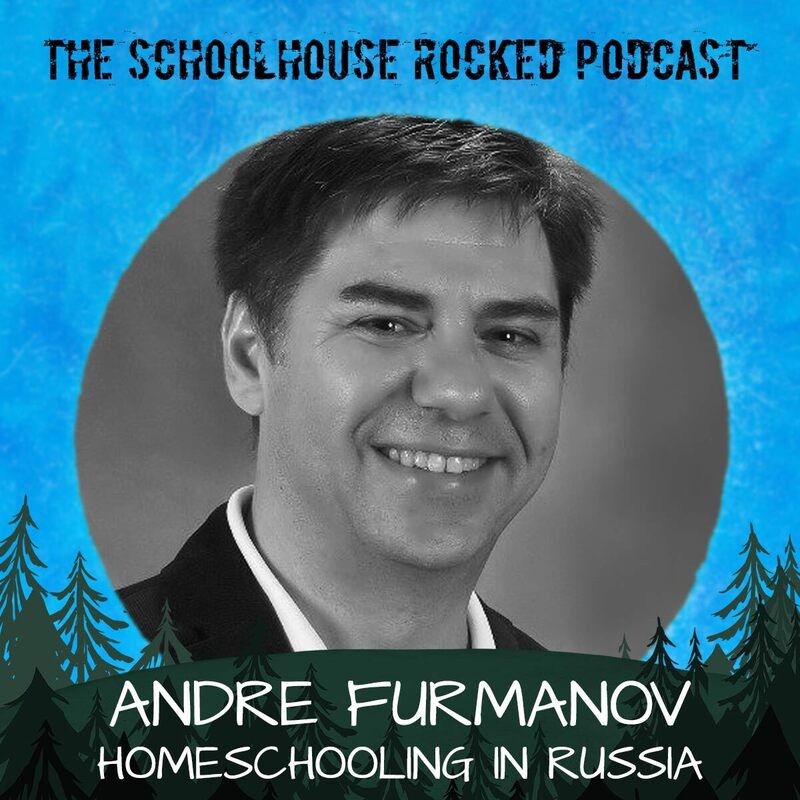 Join Yvette Hampton as she speaks with Russian pastor and homeschool dad, Andre Furmanov, about how and why he and his wife began homeschooling and what homeschooling looks like in Russia. Andre Furmanov came to Christ while still living in Communist Russia. He is a graduate of Leningrad State University, with an English philology, literature and translation major. Considers himself a pastor by default, since his ministry started after his high school class accepted Christ almost in its entirety through his witness as a teacher. Andre is a graduate of the pastoral training center at the International Church of St. Petersburg and has been pastoring his flock for the past 29 years. Andre is a major advocate of Parenting ministry in Russia and the initiator of the Christian homeschooling movement in his hometown of Vyborg. He and his wife, Nadya, have been married for 21 years. They have three daughters – Emily (18), Erika (17) and Elsie (16), who they have been raising according biblical principles and homeschooled for the past 6 years. You can support Andre and his family at https://www.novo.org/projects.Select “VCC- Andre Furmanov” in the designation drop-down list. (once in the list you can search, rather than scrolling). Yvette Hampton, producer and host of Schoolhouse Rocked: The Homeschool Revolution, brings you encouragement and resources from home education experts and REAL families just like yours, to help you train your children well. Copyright 2019, Bronze Oxen Films LLC. All rights reserved.